Watch TV or surf the net?? Hmmm its a tough one for me but did you know a new IDC study Link here has found that the Internet wins with an average of 32.7 hours/week compared to watching television at 16.4 hours. This also compares well with the good old printed matter, reading newspapers and magazines came out at 3.9 hours. Interestingly the study shows that people tend to use the media they are accustomed to and grew up with. The older the respondents, the more they consume TV, newspapers, and magazines whilst the younger they are, the more the Internet gets used. This trend seems to be only going one way as the internet grows and diversifies. As Internet usage becomes more more advanced with mobile pc’s, laptops, and ever evolving mobile phones all using WiFi to have unlimited and constant access to the Internet. So do you spend more time in front of the TV or surfing the net? NBC has announced that it will stream full length vintage tv shows on its website NBC.com/vintage You can now watch some real classics such as Buck Rogers in the 25th Century (a personal favorite) The ATeam, Miami Vice, Battlestar Galactica, emergency and the spooky Night Gallery to name but a few. Although many of these shows have been available if you searched around it now seems NBC has seen the light and sees the future in internet TV and pushing its product out complete with ads. This follows on from CBS announcing plans to stream episodes of classic tv shows on CBS.com. Episodes of Star Trek, MacGuyver, Twilight Zone, and the awesome Hawaii Five O (Duh duh duh duh daaaa.daaaa) are available to view. The quality of the shows is only so so but it beats having to download via torrent and p2p sites. And if your of a certain age it will certainly give you a warm feeling when William Shatner ( Captain Kirk) says ‘Beam me up scotty’ from your PC. Of course you need to be an American resident to view these streams, as determined by your ISP. Of course there are ways around that but thats for another post. We all want to watch movies and shows, but a lot of portals want you to part with your cash which is not such a pleasant experience. However, there are ways to watch movies and TV shows without spending a dime. So how do you get watching free stuff? First off we have a list of streaming movies and shows websites. The list includes all the top sites that show the latest free movies and tv episodes. And we are adding new sites all the time. Not many people know, but Youtube has a movie section that includes tons of free streaming films. Another lesser known fact is that if you type full movie into Youtube’s search box you can find many more full length gems. Many movies no longer have any copyright on them and are available in the public domain to watch. You can choose from literally hundreds of classic movies, but dont expect anything more recent than the 1970’s.Check out our public domain movies. You get a choice of movies and TV shows from catch-up TV networks. From the BBC iPlayer to Hulu, you get a ton of free streaming to watch right now. Find a catch-up network here. So keep your money in your pocket and enjoy these great free sites – happy watching. Do you ever wish you could Speed up your PC? It never seems to run quite as fast as when you first unwrapped it and plugged it in. If your into watching internet TV, movies, streaming and videos then you want nothing less than smoothly fast running streams. Unfortunately many computers end up with streams that constantly buffer and are jerky and slow. But it does not need to be that way, we feel your pain and want to help. So here are some tips on getting your PC purring like a finely tuned Ferrari. Programs running that you forgot about or automatically run ever time you boot your PC are the biggest slowdown. But luckily, this can be fixed quickly and for free… if you have background programs running simultaneously eating at your computers resources, there is not enough resources to run your streaming movies normally. Press the the keys Ctrl + Alt + Delete at the same time. Highlight any program running thats not needed and then click End Task. Repeat to quit all programs except of course your browser which needs to be running or you’ll stop seeing this screen for a start. Also it is very important to install Anti Spyware and malware software to get your system clean. Don’t forget that just browsing the web can open you up to a whole host of these infections. Good software that is also free are Avast! anti-virus and IObit Malware fighter. You should now have a lovely clean system. Is your PC running faster? If it is you will want to prevent those programs from restarting the next time you start the computer. If you don’t want these background programs starting next time you run your PC, and you know what your doing, you can run msconfig from the run menu on your start button in your bottom left start button and completely disable whatever you find in the Startup tab. If you are not that experienced or nervous about playing with system settings and want a safe way to kill off those unneeded background programs, get someone else to help. Some software programs add themselves to your system start menu without even asking your permission. Sometimes you can click a link on a website or visit a hacker website that will install spyware on your pc without you knowing. Use the above reccomendation to get your system checked and fixed. They are free after all. This results from loading many programs over time, uninstalling and deleting. As each new Windows program is installed and uninstalled, it leaves behind parts of itself that can slow down or crash your computer. These are mostly .dlls and various other shared files. Run the Window’s hard drive defragmenter (Defrag) at least once a month. It is in your System Tools menu. Look in program files – accessories – System tools and run it. 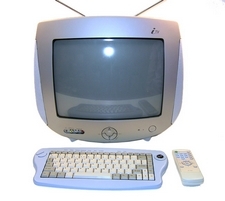 Most modern PC’s have plenty of memory that is useful for buffering of TV and movie streams. If you have an old beast of a PC, you could be lacking system memory – You should probably upgrade to a bigger memory as its relatively cheap to buy but improves performance Big time. Has this solved your slow running problems?? If not the only real answer to this problem is to just reinstall Windows onto your hard drive or run the recovery disc that came with your PC. This is a last resort measure as Reinstalling Windows means you will also have to reload all your programs and possibly drivers onto your system. Broadband WiFi packages come in all speeds and sizes. For movie files a lot of data needs to be thrown around cyberspace. So check your local provider and see if you can increase the speed that you download. This on it’s own could reduce buffering instantly. And if you improve memory and clean up your system as well using the tips above, then it will be a revelation. A video guaranteed to freak you out! Heres a lovely car video with beautiful scenery, a great looking car, sweet music… And a big freaking ghost in there as well..
Now after watching that im sure you like me will be needing a toilet break. After that dont forget to visit the world tv video widget page to make your own selection of videos that you can put on your blog/website. TV network tells kids when they should die! Australian TV network ABC is taking the green message a bit too far. Telling kids via a quiz how long they should live! 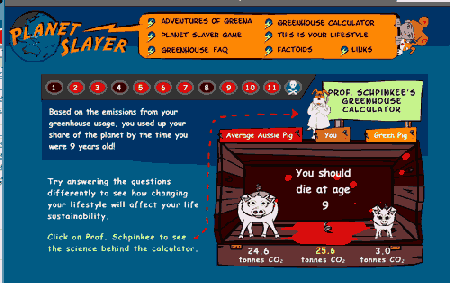 A quiz game featured on the networks website tells kids depending on their magical â€œcarbon footprintâ€ how long they should live! Im all for tough talking and going green but lets not be telling the little darlings when they are gonna die!